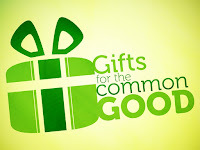 Pastor Gabe continues our series on spiritual gifts out of 1 Corinthians 12:12-31. What are gifts of healing and prophecy? Are they still in effect today? How can you know what your spiritual gift is? And what are the purpose of the spiritual gifts anyway? These are some of the questions we'll be tackling. Sunday school is at 9:30 and worship is at 10:30. Due to the rain, we have moved our church service from Heritage Park to our building at 1220 West 8th St. Church will be held at 10:30 (to give everyone time to re-route). There's no Sunday school, but we will still have our potluck! Food will be served downstairs in the fellowship hall after church. We'll have friend chicken, or you may add another entree, or bring a side or dessert!